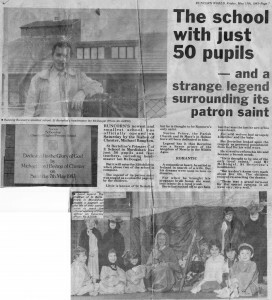 As there’s a few scans of really old photos being uploaded to the St Bertelines School facebook group, I thought I’d ask my mum to try and dig out some old photos.? This weekend she dug out a newspaper clipping from back when the school first opened. 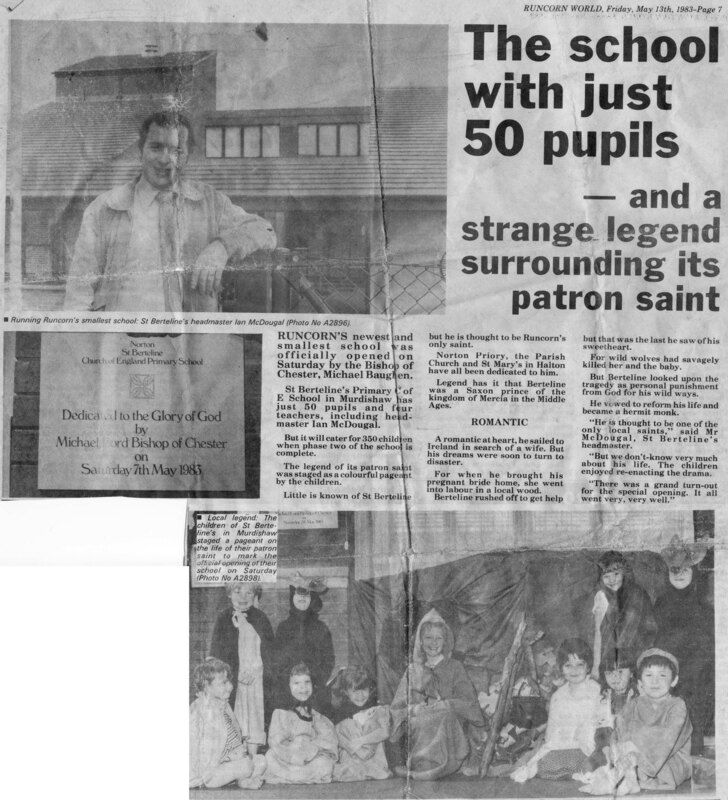 This scan was taken from the Friday May 13th 1983 edition of the Runcorn World newspaper. do you happen to have page 1 of the news paper from may 13 1983 ? No, sorry. If you need it, you’ll have to contact the publisher directly to see if they have it in their archives.